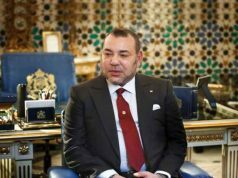 Casablanca - King Mohammed VI received, on Friday in Casablanca Royal Palace, several foreign ambassadors who came to present their credentials as their countries' ambassadors to Morocco. 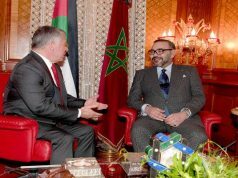 Casablanca – King Mohammed VI received, on Friday in Casablanca Royal Palace, several foreign ambassadors who came to present their credentials as their countries’ ambassadors to Morocco. – MD Monirul Islam, Ambassador of the People’s Republic of Bangladesh. 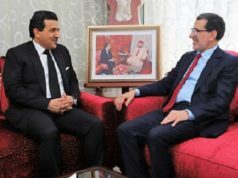 – Mohamed Abdelrassoul, Ambassador of the Republic of Chad. 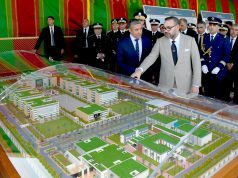 – Ibrahim Bila Daala, Ambassador of the Republic of Djibouti. – Souleiman Abdel Tawab Azzine, Ambassador of the Republic of Sudan. – Ousseini Mamadou, Ambassador of the Republic of Niger. – Sladjana Prica, Ambassador of the Republic of Serbia. – Samuel Mbrayeh Quartey, Ambassador of the Republic of Ghana. – Alhagie Ebrima N.H. Jarjou, Ambassador of the Republic of Gambia. – Are-Jostein Norheim, Ambassador of the Kingdom of Norway. – Volkmar Wenzel, Ambassador of the Federal Republic of Germany. 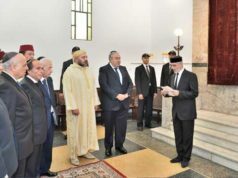 Afterwards, King Mohammed VI received Tosari Widjaja, Ambassador of the Republic of Indonesia, Moumouni Djermakoy Abdoulaye, Ambassador of the Republic of Niger, and Mostapha Hamdane, Ambassador of the Lebanese Republic who came to take their leave of the sovereign at the end of their missions in the Kingdom. 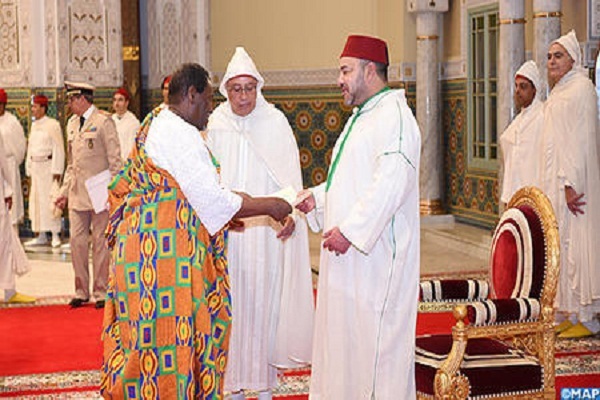 On this occasion the King granted Widjaja the Alawite Wissam of Exceptional Rank and gave Djermakoy and Hamdane the Alawite Wissam of Commander Rank.